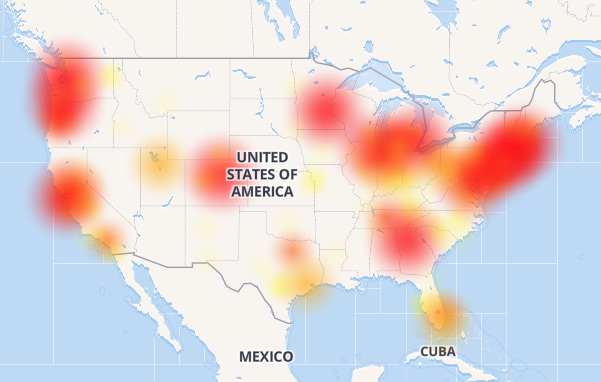 Having issues with Comcast this morning? You’re very much not alone. Right around 10 am Pacific, we started seeing reports from both coasts that the internet had suddenly slowed to a halt. Certain sites would load just fine, but the vast majority (from Reddit to Facebook to TechCrunch) simply timed out. A bit more digging suggested that many people reporting issues were on Comcast’s Xfinity service. The same site shows a massive spike in reports just after 10 am Pacific. Down Detector is also showing a similar spike in reports for Level 3, one of the Tier 1 or “backhaul” providers. If they’re having issues, it’ll ripple out to many other ISPs, including Comcast. Comcast has acknowledged the issue on their customer service account, saying “some” customers are having issues — but didn’t give any insight as to what’s going on or any ETAs on when it’ll be fixed. In other words: don’t bother resetting your router just yet. It doesn’t seem to be one of those problems. Comcast says this is an issue with an “external network,” and that they’re still investigating. As of 12:40pm Pacific, Comcast says the issues should now be fixed.